George Forge has been owned and operated by George Ivan Pare' since 1991. George has worked as a blacksmith in several museums, mostly focused on the restoration and reproduction of artifacts dating from the 17th century through the early 1900's. His work has ranged from the common forged nail to fine cutlery. George has studied under historians and respected blacksmiths such as Kenneth Schwarz of Colonial Williamsburg, and Mark Atchison of Plimoth Plantation. He is currently operating a shop in Little Compton, Rhode Island where he is equipped to take on a variety of work. George is dedicated to learning about, practicing, preserving, and passing on our heritage of hand work. Almost all of the blacksmiths who made a living forging tools and hardware leading up to the technological revolution are gone. What remains today of ancient trades such as blacksmithing, can be found primarily in museums, books, craft schools, and a handful of private shops around the world. George strives to uphold the integrity of his work to better honor the smiths that came before him, and those living today. 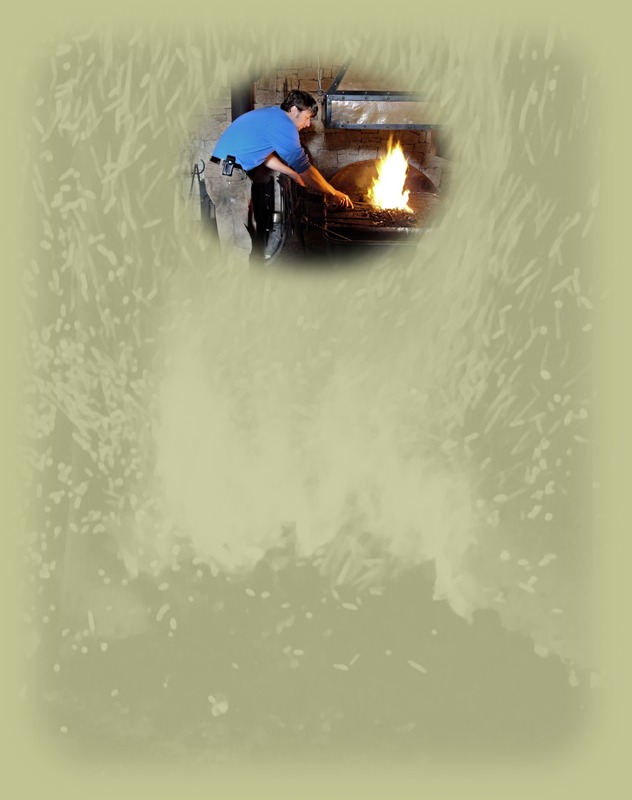 In many applications, forged iron still has advantages over fabricated steel and cast iron. Elements forged by hand are often more esthetically pleasing, mimicking the shapes of plants and animals found in nature. Traditional methods of joinery can, in some cases, be stronger as well as provide a smoother finish, and more flowing shape. Working by hammer and hand, a smith has the additional advantage of creating tapers and curves, which add a feeling of quality and dimension to a piece. Though a smith can gain great skill by copying the work of masters, he must also create his own contemporary work. George Forge produces work of both old and new design with the same care and integrity. Whether you need something repaired, hardware made to match originals in your house, or a custom installation, consider contacting us. Please include as many details about what you need as possible. The only way we can completely satisfy our customers is to know all the details about any given project upfront. We look forward to doing business with you. Thank you for visiting. "The time will come when every kind of work will be judged in two ways: one by the product itself, as it is now done, and the other by the effect of the work on the producer. I believe this leads us to some realization that there is hope for the future and that we do not have to be puppets of our culture and technology, but can be forceful in redirecting the thought and movement of our society, if we, as individual craftsmen, set an example by means of our attitudes to our work and towards others."